Emily finally convinces her parents to get a puppy—but soon realizes she’s allergic! Can her friends help her figure out the perfect pet? Find out in this fifth book of the Craftily Ever After chapter book series. Emily Adams, Maddie Wilson, Bella Diaz, and Sam Sharma are eight-year-olds with one special thing in common: they love to create. They each have unique talents, too! Emily is great at constructing and building; Maddie has an eye for fashion, fabrics, and sewing; Bella is a gadget whiz; and Sam is a gifted artist. Together, these four crafty friends dream up new projects to design, build, and create and through their experiences, they’ll learn how to handle various obstacles at school and in their everyday eight-year-old lives. Emily is desperate to get a puppy. She’s worked really hard to convince her parents that she’s responsible and ready and they’ve finally agreed. But first, Emily’s going to volunteer at the local animal shelter to get some practice caring for the animals. She’s loving it until—ah-ahhh-CHOOO!—she discovers that she’s allergic to them! Emily is devastated. Luckily, her creative friends just might have the perfect solution to cheer her up. 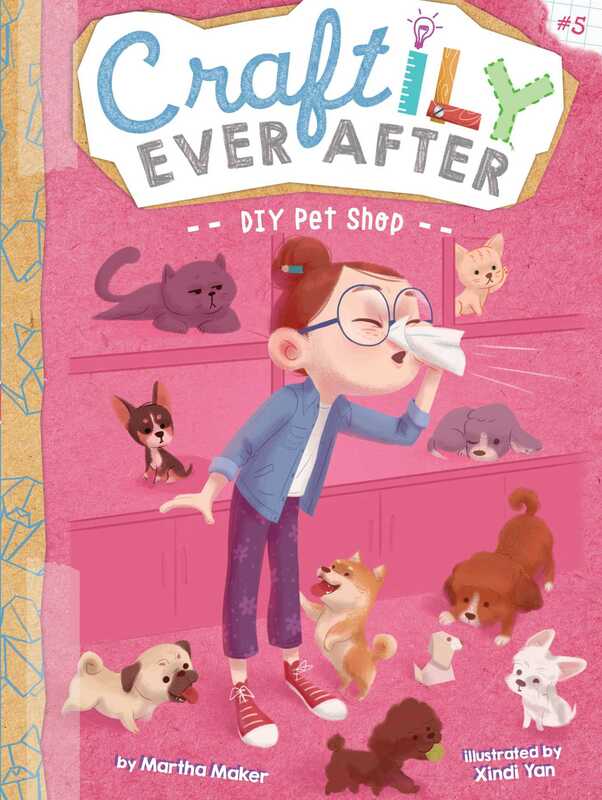 With easy-to-read language and illustrations on almost every page, the Craftily Ever After chapter books are perfect for emerging readers. Martha Maker is a dedicated crafter who is always working on a project—or several! When she’s not writing books, you can often find her at her favorite community garden with her paint set. She lives in Washington, DC, with her family, which includes two kids, two dogs, and two guinea pigs. Xindi Yan left behind a small city in China to realize her dream of being a published artist. Having always wanted to illustrate children’s books, she buried herself in countless books and drawings, collecting them even today. Xindi currently lives in Brooklyn with her husband and dreams about having a puppy in the near future.